Our traditional “Lost Wax” casting process allows you to replicate your work with incredible detail and precision. Using only the finest mold making materials available, you will get a very detailed and accurate mold of your original work. Plus, our in- house mold makers’ keen understanding of the entire art production process allows us to design your mold for ease of production allowing us to get your piece produced efficiently and precisely while keeping your costs down. Click here to see the 8 step molding and foundry process in action. Whether you’re a sculptor who needs to realize your latest work in bronze, or an art publisher who needs a professional, reliable and consistent casting partner, American Fine Arts Foundry can help. Request a no obligation free quote on your next casting. Our Custom Bronze Casting Foundry will reproduce your original sculpture while maintaining the integrity of your creative work. Our team of master artisans specialize in reproducing fine art sculpture in bronze and stainless steel. Our experienced team will work directly with you through each step of the process from mold-making, wax and metal chasing, to patination to provide a perfect bronze reproduction of your original work of art. The end result is a final piece that is the true representation of your original idea. You’ll be proud of your final casting as it will be exactly the way you wanted it while meeting and hopefully even exceeding your expectations. 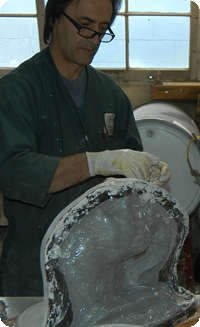 High quality castings are a must, but the patination is necessary to truly express your creative idea! The success of your art work lies in the details. You now have at your disposal a wide range of chemical patinas, dyes, pigments and colors to make your sculpture more distinctive and sought after. Our experienced finishing department can work with you to define custom patinas and finishes that will be unique to your work. From traditional chemical patinas to colorful dyes and pigments, to gold leaf, our finishing options will give you a broader pallet to use for expressing your creativity. You can make the finish as traditional or modern, original, and as distinctive as you desire. You’ll be proud of your artwork and have fun exploring new directions while you “go into uncharted territory” with your creativity. Like a creative partner, we help you find new creative directions to get recognition (and sales) of your sculpture. High quality sculpture enlargements or reductions for your special project. 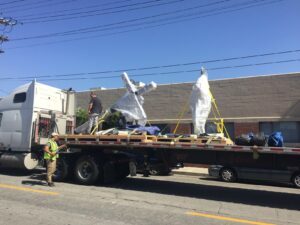 Need to enlarge or reduce your sculpture to a specific size? Our 3-D laser scanning services will digitally scan your maquette, and then enlarge or reduce it in size. This computerized 3D “cyber-scanning” technology produces extremely accurate foam enlargements and reductions of your art. We can work with any type or size of sculpture from small table-top pieces to monumental art. No matter what type or size, we’ll know how to approach and execute your project so the final outcome is exactly what you wanted. You need more than a foundry; you need a business partner that can be there to support your business operations. Our inventory stocking and drop shipping services will save you time and money so you can keep your focus on your customers and the creative process. Inventory Stocking: Don’t let long fulfillment times frustrate your customers or cost you sales in the art galleries. We’ll stock a small inventory and cast on demand based on your level of sales. This service will help you keep your position in the gallery secure so you can make more sales by always having your pieces available. Drop-Shipping: Take the shipping and logistics hassles out of your business to reduce your shipping costs. 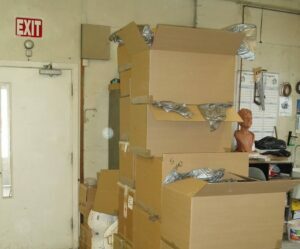 We’ll eliminate foundry to warehouse shipping expenses by shipping your work directly to the gallery or customer. This takes out the business hassles of shipping logistics and lets you focus on what you do best… being creative. 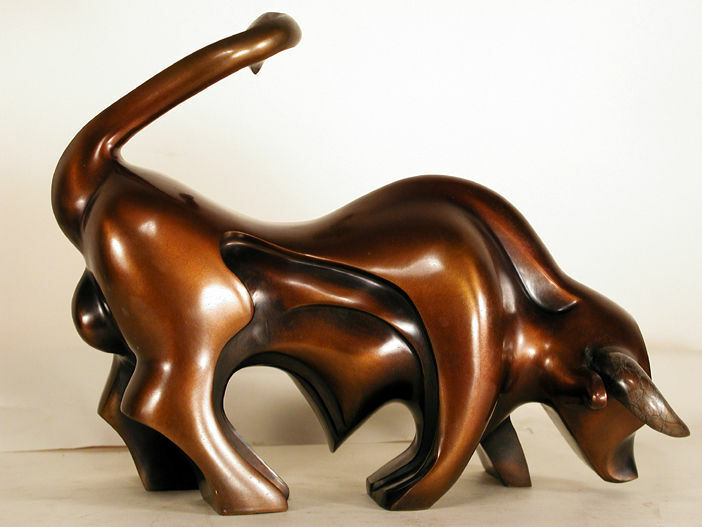 Do you have bronze art work that needs patina repair, refinishing or conservation? Now you can get your art work repaired to regain its original look, or refinish it to have a new improved look. 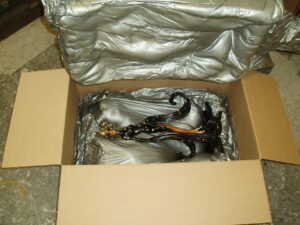 We also specialize in conservation treatment of bronze art sculptures and monuments of all sizes. Whether you need a traditional chemical patina or a unique patina with colorful dyes and pigments, our finishing options will restore the beauty of your bronze sculpture. If you need patina cleaning, repair, protective coating, casting of replacement parts or long–term maintenance plans, contact American Fine Arts Foundry for your patina repair needs.